Rainbow Ryders Hot Air Balloon Company boasts over 35 years of experience offering hot air balloon rides. Experience the landscape from this unique perspective with rides available every morning at sunrise, weather permitting. 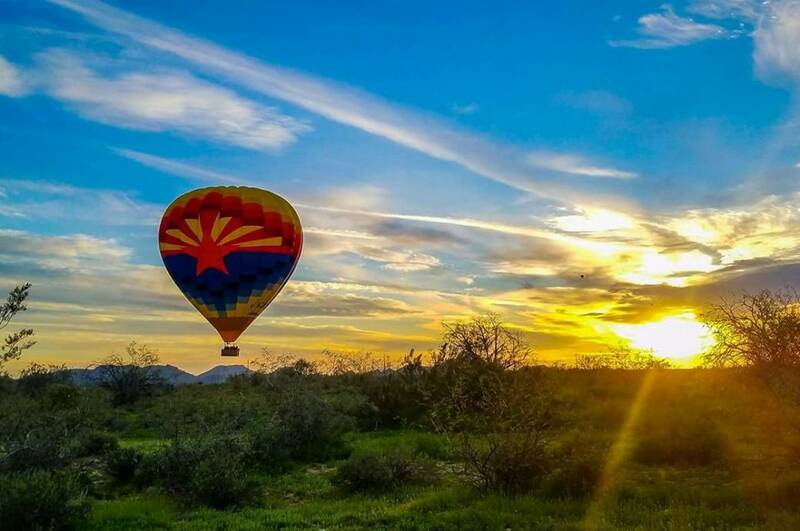 Or, enjoy Arizona's breathtaking sunsets during a balloon flight in the winter months. Enjoy views of the Sonoran Desert while floating in the sky and sending greetings to earthbound folks below. After landing from your safe and memorable adventure, enjoy a celebratory toast with a light continental breakfast. Passengers are presented with a Rainbow Ryders flight certificate to commemorate their aeronautical adventure. 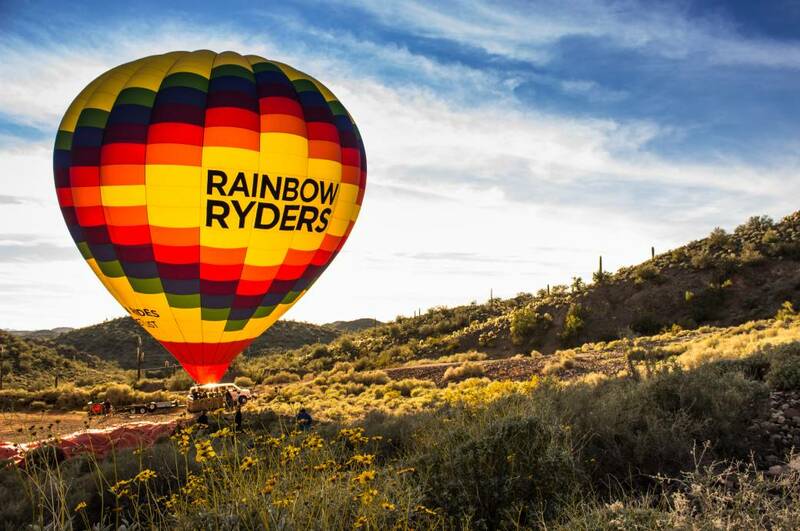 Check a hot air balloon off of your bucket list and rise above the rest with Rainbow Ryders, Inc. ® Hot Air Balloon Company.